The Three Crosses monument in Vilnius has become a popular site of expressing solidarity with other nations: it was lit in blue, white and red after November's shootings in Paris and in the colours of the Ukrainian flag for the country's Independence Day this week. 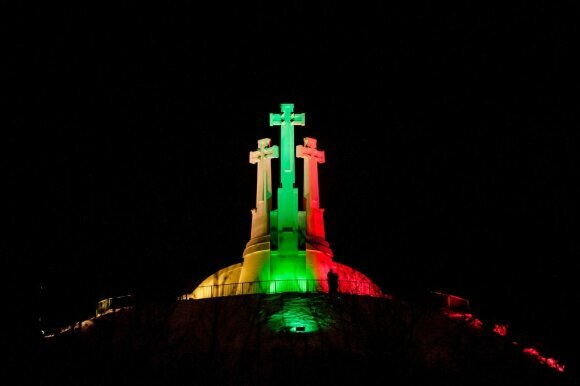 Vilnius mayor says there needs to be written rules regulating such occasions. 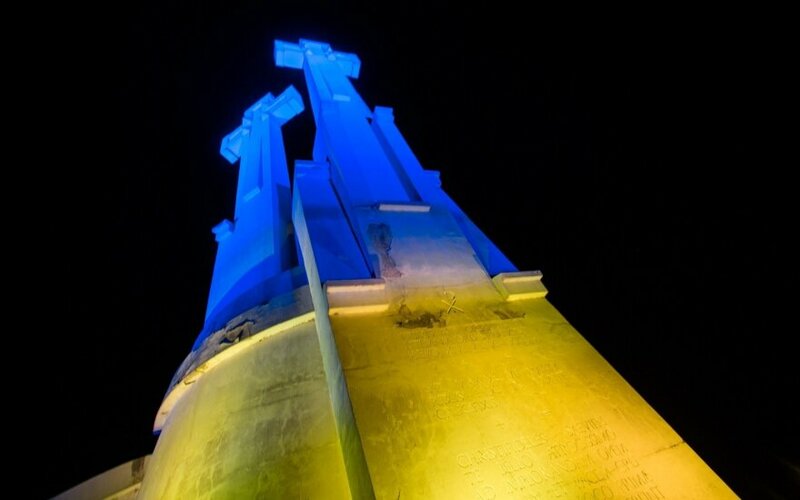 Vilnius authorities caused a minor controversy when they initially refused to light the city's landmark in yellow and blue, before backtracking due to outcry in the media. 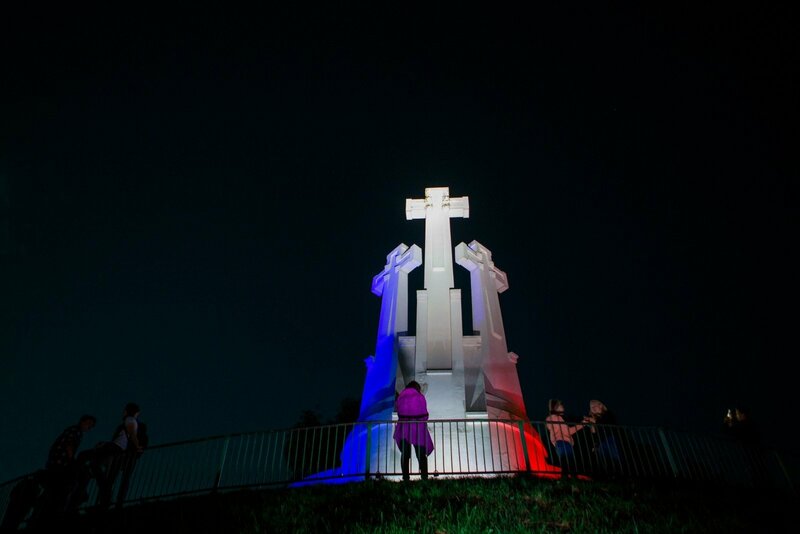 To avoid controversies in the future, Mayor Remigijus Šimašius has called for guidelines to be drawn up regarding the lighting of the Three Crosses Hill in the colours of foreign states. 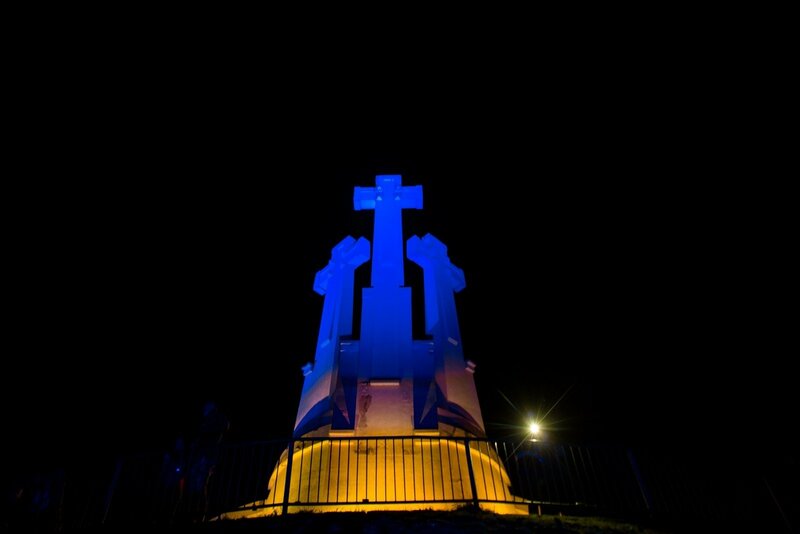 “The Three Crosses have come under such high demand regarding such lighting that we need a clear set of guidelines. Up until now it appeared somewhat obvious, but now that it’s become an object of politics, there is need to clearly outline who, how and when makes such a decision. 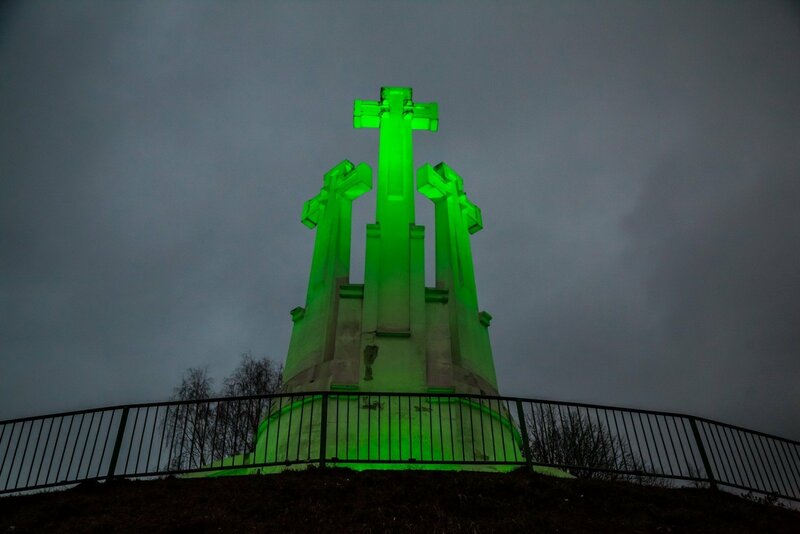 "Changing the colour of the lighting every week would surely be in poor taste, but on the other hand, for special occasions it definitely should happen,” Šimašius told journalists on Wednesday. 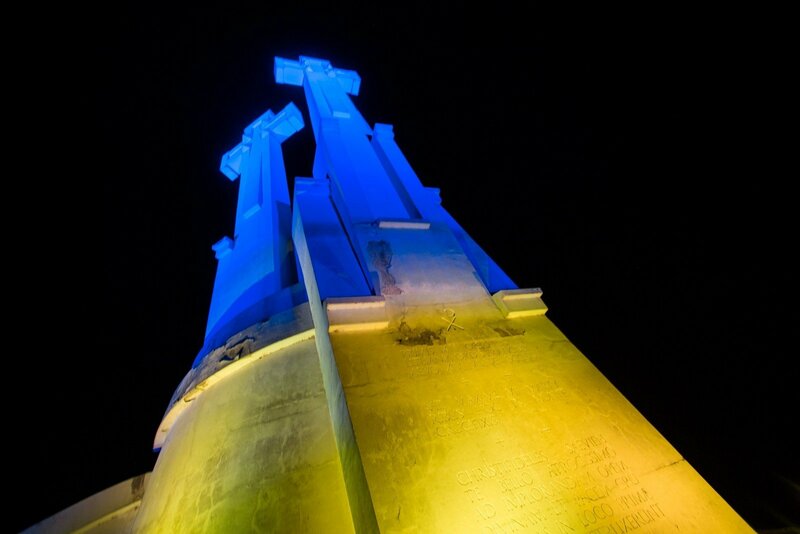 Meanwhile a former mayor of Vilnius, Artūras Zuokas, has criticized such proposals: “To avoid such misunderstandings in the future, we must admit that the Three Crosses are probably not the best place to honour other states. As such, I would propose to have the Vilnius municipality inquire with the Lithuanian Radio and Television centre to establish special lighting for the television tower where such things could be done without exception for all applicants,” he said.